Ask the Author is a new program on Goodreads where readers can ask any author who opts into the program any question they like. Want to know what I'm currently working on? When the next Alchemancer book is coming out? Why the Assassin Without a Name doesn't have a name (can't guarantee I'll give you a satisfactory answer on that one as it would involve spoilers)? 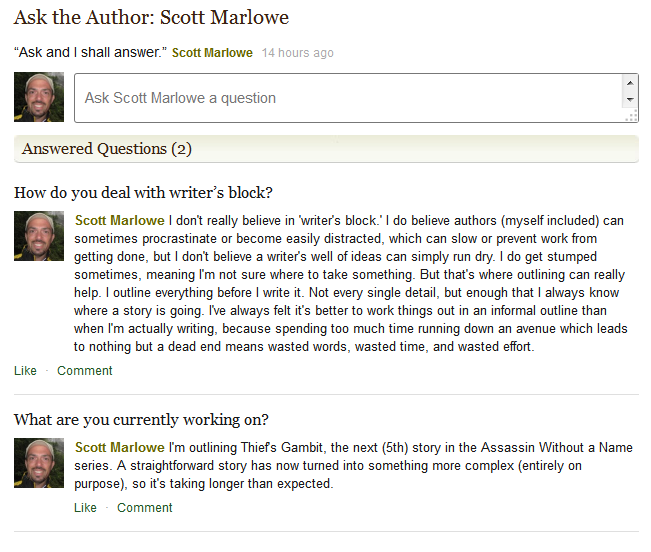 Visit my Ask the Author page and I'll gladly answer anything you throw my way.